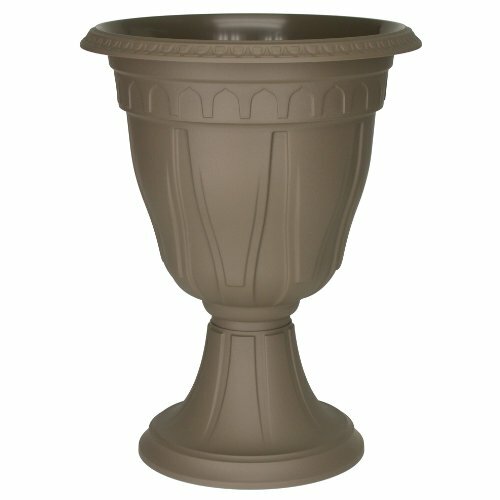 This tall azura urn planter is available in cappuccino color. Molded plastic with textured surface offers a distinctive look. Measures 15.25-inch diameter by 20-inch height.